I am not sure how to do this. Something happened to me on Thursday that I did not expect. Let me start with what I expected. Actually let me start with what had happened. You know what… Let me start with who I am. It will eventually all make sense. I go by the name of Meesh. Why? Because many people can’t pronounce my real name (Or the way you’re supposed to pronounce it) I am an actor. Well, it’s what I have been striving to do for over 10 odd years. It isn’t what I always have done. You see, I come from a Middle Eastern background. A liberal one, but pretty strict. And here is where the complications start. I’ve been living in the US, and Japan since 1991-ish. So I consider myself western thinking, with a conservative background. As such I think anyone living in America who comes from an immigrant family will understand what I mean. So, my family basically had an idea where my life was supposed to go. And I tried hard to follow that path. Which I did, for the majority of my adult life. Graduated University, got a very cushy job in IT with an international corporation. Eventually married my college sweetheart, and moved to Japan, got my Masters Degree from a very prominent and respected University, everything was Hunky Dori (Which is a Japanese phrase by the way). Until life happened, and I realized life was slowly taking it’s toll on my body and mind. So much so I was constantly hospitalized. I was reaching about 400 pounds. Yeah, sure I had money, and everything, heck I had a lot of everything. But when you lay in a bed unable to walk, or loosing your eyesight, going blind, and loosing the basic functions of living a “normal” life… You ask yourself. What am I doing? And where did my life take it’s turn so badly that I found myself here? Let us flash forward to today. Actually this last thursday. 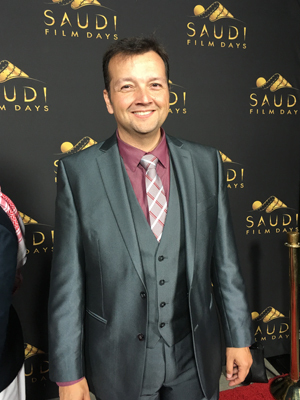 I attended the Saudi Film Days festival where I was lucky enough to see my fellow Saudi’s accomplish what I have been trying to do for well over 10 years, Make movies, and show that Saudi Arabia is not what the world thinks it is. Just like how America is not all about Hamburgers, The Kardashians, or multimillionaires who like to fire people on TV. It has very talented people, who are artistic creative, and have something to say. 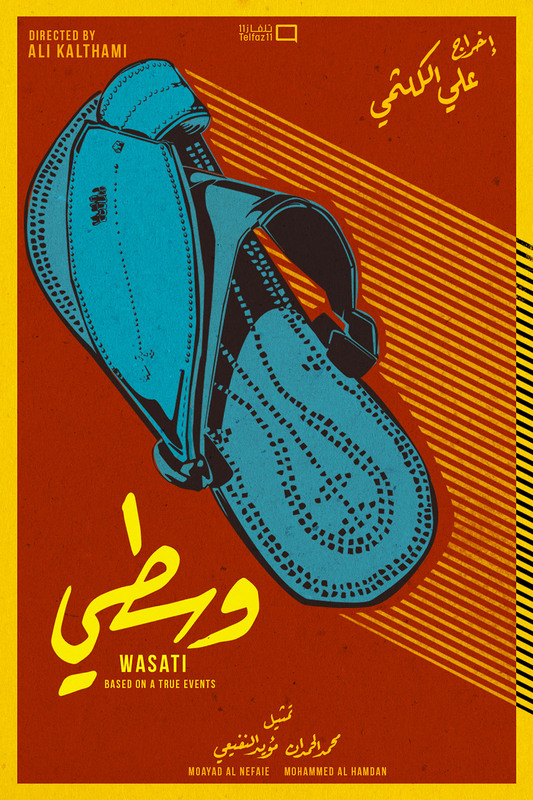 Enter Wasati وسطي. A film by Ali Alkalthami A story where one of the characters will be going blind, and uses his last days able to see, to see the world around him in Saudi that he took for granted, to read and use what he had for the time he had left. That hit me in the gut, why? Because I related. I started to tear, because I then remembered one of my first official acting classes in Los Angeles telling me, relating to your audience is one of the most powerful moments achievable. Take them there. Let them feel what you are feeling. Holy Hummus! This film did it, and in a way that made me fall in love with the idea again that this is the industry I chose to follow thru in. Not the industry my family wanted me to do. Not the industry my peers want me to do. And not the industry my education dictates me to do. I was finally doing what I wanted to do, but in the last 10 odd years I lost my way. Found myself, and veered off track again. I start doing what people in the “Industry” are telling me to do. I started focusing on what other “Actors” breaking in business where doing to try and do what I am trying to do. And I forgot the advice I gave to cousins and dear friends. Do it for you. 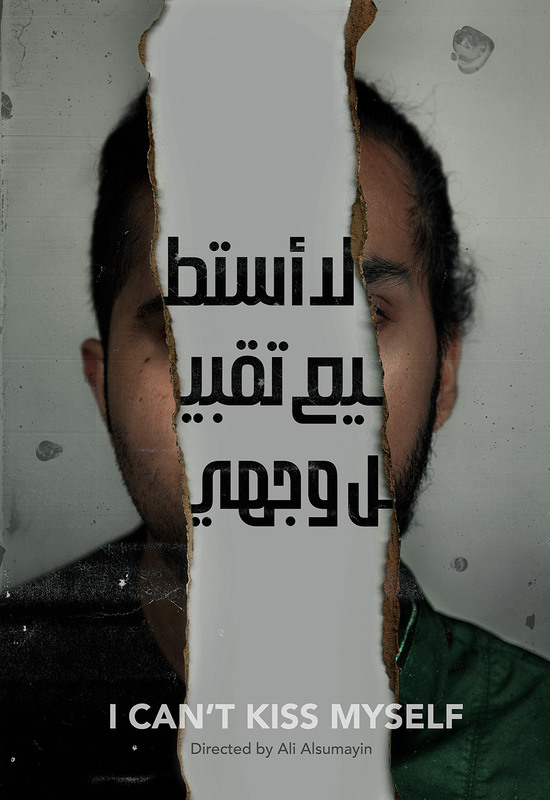 Enter “I can’t kiss myself” the film by Ali Alsumayin. Two days after the festival, I’m thinking of these films, and just last night I was at my favorite Cafe, and some patrons who went to the festival showed up and a big discussion started. This film was the last topic of conversation that was the icing on the cake for me. May not have a great story to it as it is just a scene with a message. To Hollywood standards its talking heads, or preachy. But the director admiringly said it at the Q&A. It’s about the content of the dialog. I equate it to a “Rosencrantz and Guildenstern are dead” Scene. Where A man immersed in a world of fame and public attention meets another man who makes him question the nature of his fame, and what that actually means to him. Especially in a world of Likes, and followers, and what is your ranking on IMDB. Bam! relevant, and you forget that we probably all are in that boat. I certainly feel that way since moving to LA. So there you have it. Bringing me to this post. This… Blog. It’s probably the first of many. Probably I will find that I have nothing more to say after two. Whatever it is, I’m going back to what I did in 2010. I’m going to talk about my days. And my Struggles of living my dream. I did the Let’s write a show thing, and I am questioning, why? I obviously know that I can do it. I did it. And realized, once again, that everyone is doing it. These films made me beg the question that I have thought about, and always avoided actually answering, because Hollywood does that to all of us. It forces us to ask what will sell, and you like doing it. It really has to be, what do you want to do, and don’t settle for what you can do. Do stuff that you know the people who care about you want to know about. I’m taking that approach. This entry was posted on Sunday, November 6th, 2016 at 2:17 am	and is filed under Dream. You can follow any responses to this entry through the RSS 2.0 feed. Both comments and pings are currently closed. djmeesh NEWS is the personal blog of Mish'al "MEESH" Samman . Entries (RSS) Also known as Mishal, djMEESH, Mish, tkid(s): 3973, and maybe possibly mcMeesh. .